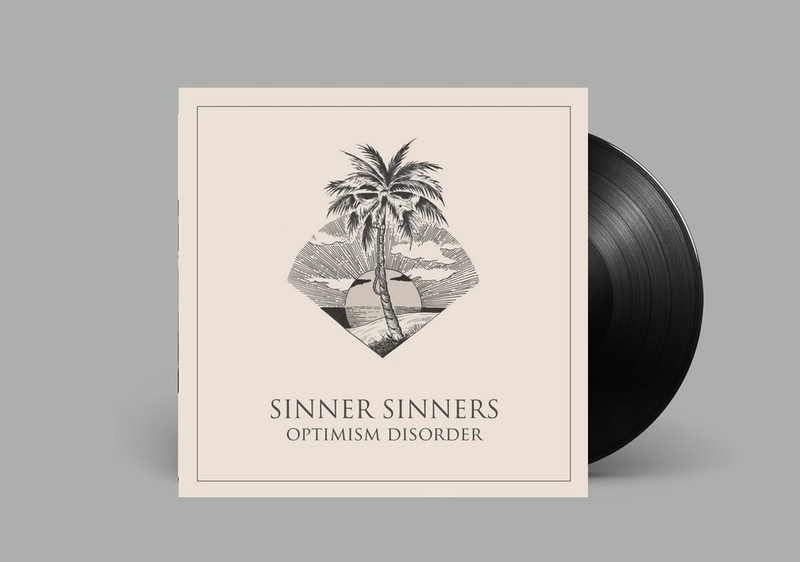 Sinner Sinner's latest LP, Optimism Disorder, is released on limited vinyl and CD on Left Front Door Records. Sinner Sinners recorded the album at Rancho de La Luna in Joshua Tree, California (mostly known for giving birth to the Desert Sessions and recording artists such as Queens of the Stone Age, Iggy Pop, Kyuss, Arctic Monkeys), assorted Los Angeles hide-outs, and engineered in Clermont-Ferrand France. Optimism Disorder was produced by Adam Greenspan (Refused, INVSN, Maximo Park) and Thomas Bellier (Spindrift, Blaak Heat), mixed by Pascal Mondaz in France, and mastered by Simon Capony at Basalte Studio. The album also features additional engineering by Nic Jodoin (Black Rebel Motorcycle Club) and Jon Russo. Last but very not least, vocalist/guitarist Jesse Hughes of rock n' roll groundbreakers Eagles Of Death Metal makes his mark on Optimism Disorder via flute contributions.